While eating throughout the day, we don’t tend to give our teeth much thought. Sugary foods and temperature extremes can cause a great deal of stress to our teeth. To ensure optimal oral health, prevention is a much better alliterative to treatment. 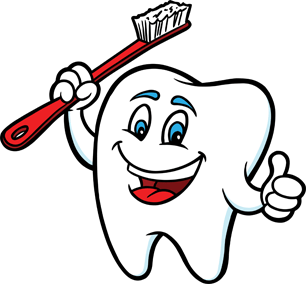 Healthy dental routines such as regular brushing and flossing are important to ensure a healthy smile. But did you also know that your diet has an impact on your oral health? Try to avoid foods that are sticky, or get wedged in our teeth. These types of foods can loosen fillings, and even cause a disruption to crown. Healthy alternatives to ensure a bright and healthy smile include nuts, cheeses, and milk. The high levels of calcium and phosphorus in these foods can help strengthen and protect tooth enamel. Also, foods with a high water contact are the best for your teeth, such as fruits and vegetables. The water contained in these foods helps to wash away bacteria and dilute sugar effects. The most important aspect of a healthy smile is to ensure a regular preventive dentistry routine. Request an appointment today with your favorite University Dental Associates practice location, and keep on smiling! For most of us, a morning cup of coffee or tea is the best way to begin a new day. But have you ever considered the effect your morning beverage (or mid-day pick-me up) has on your teeth? Coffee and tea contains a substance called tannic acid—which can stain your teeth brown by appearing in ridges and on the flat surfaces of your tooth enamel. It has often been shown that by adding cream or milk to coffee or tea can help prevent tannic acids from staining your teeth. If your morning coffee or tea accompanies you on your commute, consider drinking a bottle of water after your beverage of choice. Drinking water will help to wash away some of the tannic acid, until you are able to brush your teeth. Also, drinking iced coffee or tea through a straw helps prevent the liquid from coming in direct contact with your tooth enamel. And also, don’t forget that professional tooth whitening at University Dental Associates is always an option to ensure a bright and healthy smile! If you are experiencing any of the symptoms above, request an appointment today at your favorite University Dental Associates location.